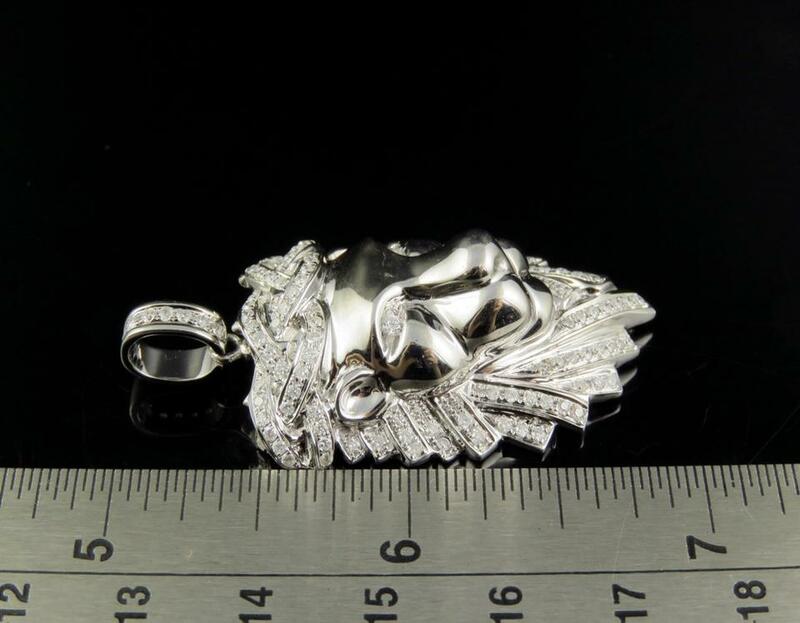 A bold accent for the regal man, this lions head charm adds majestic flair to his look. 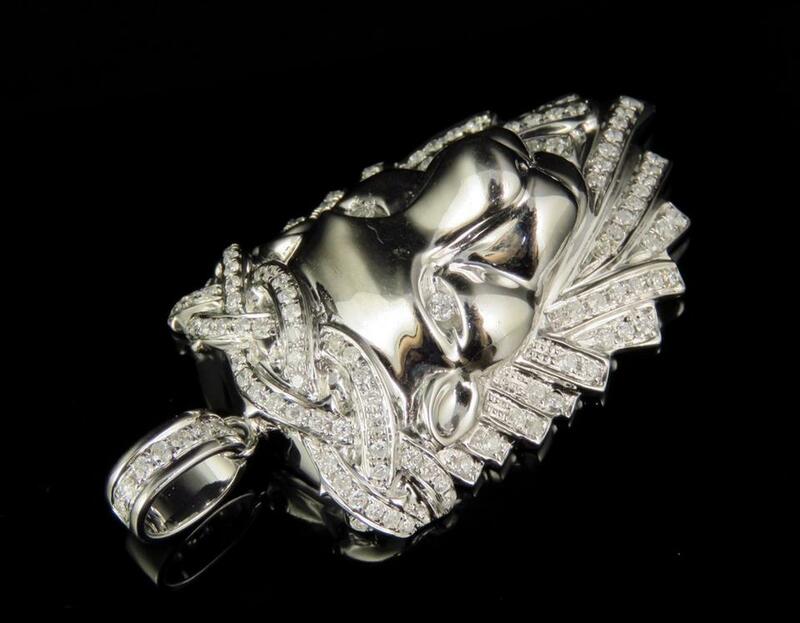 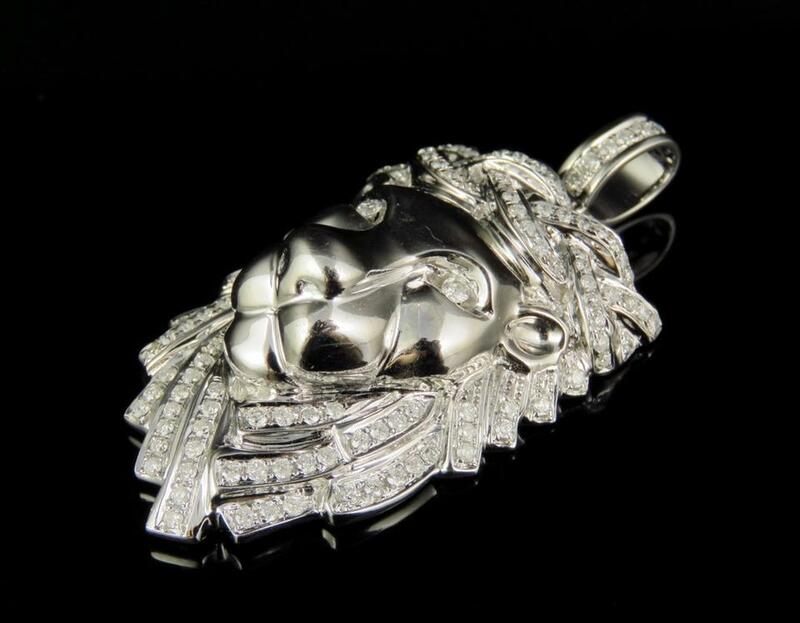 Fashioned in 10K White Gold, this intricately detailed lion's head is set with genuine white diamonds. 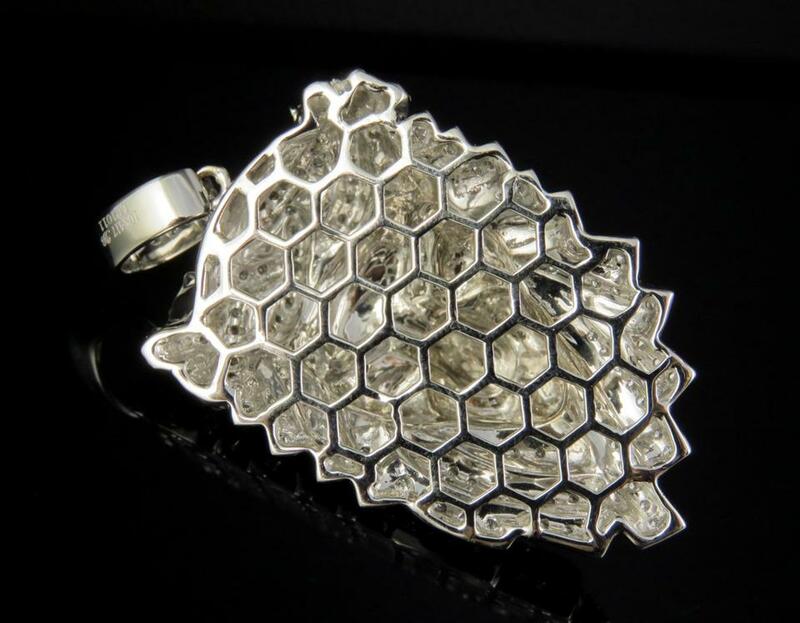 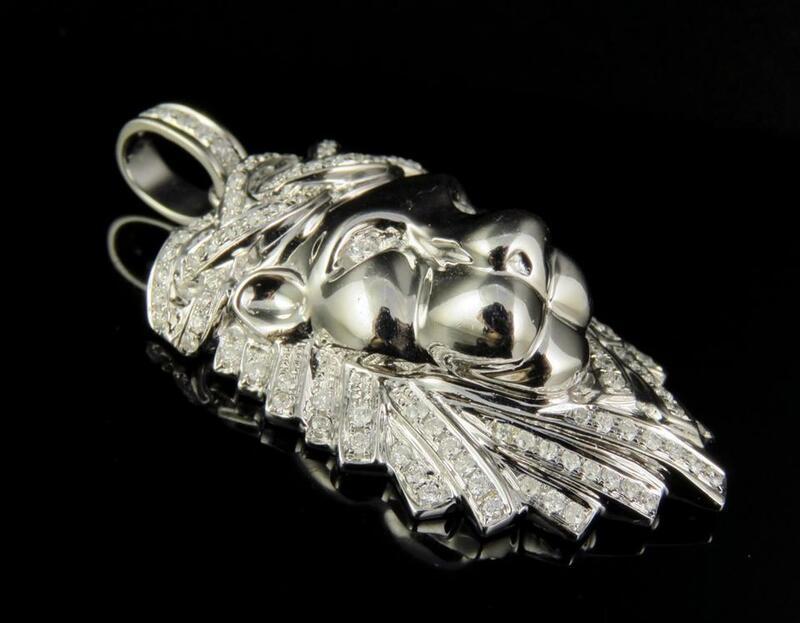 1.16 carats of diamonds adorn this stylish pendant. 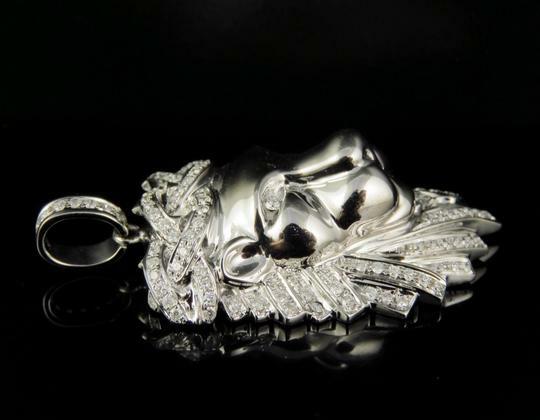 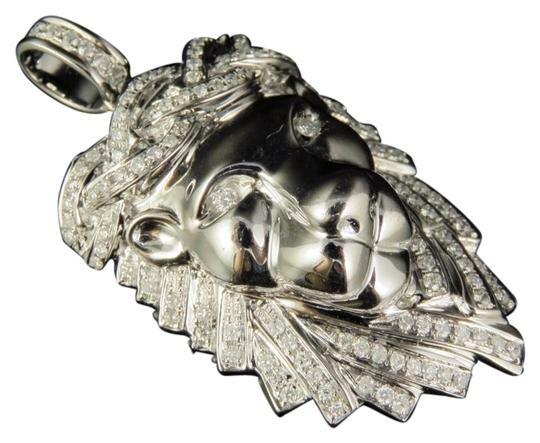 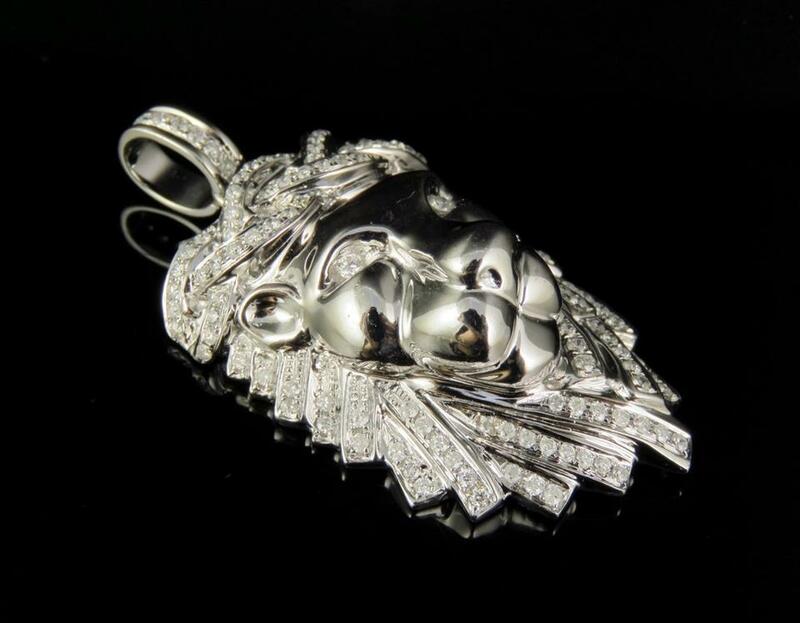 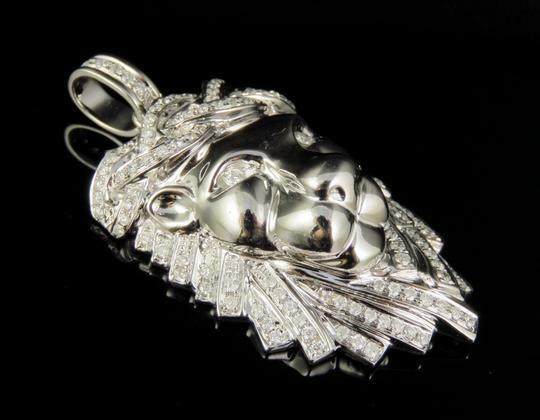 This piece is masterfully designed and manufactured with a 3D image of a crowned lion. 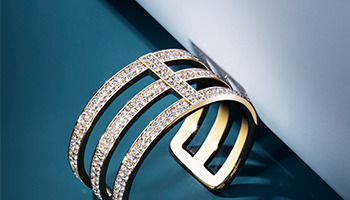 Diamonds showcases SI2-I1 clarity and H-I color. 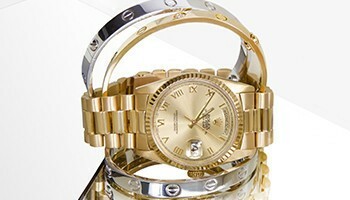 A lustrous finish will make you feel and look your best. 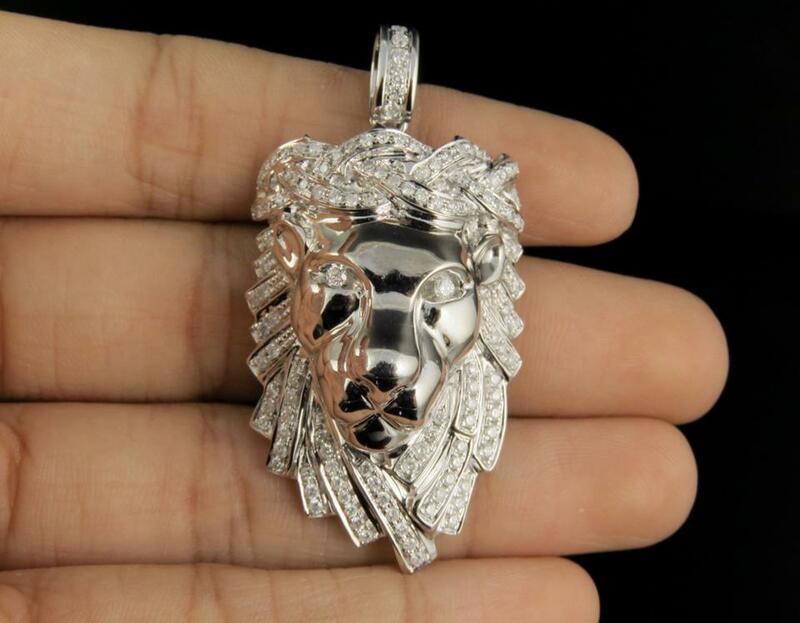 The pendant is 2 inches long including its bail & weighs 14.9 grams. 10K White Gold Real Diamond Lion Face Pendant 1.16 CT 2"